The five Sirona C4 and C8 dental chairs we own are recognised both for the incorporated latest generation German technology and the quality of dental services they allow our doctors to perform. Due to the modular philosophy behind their design, the Sirona dental chairs offer our doctors immediate and effortless access to many of the instruments necessary for a top dental treatment adapted to every patients’ needs. 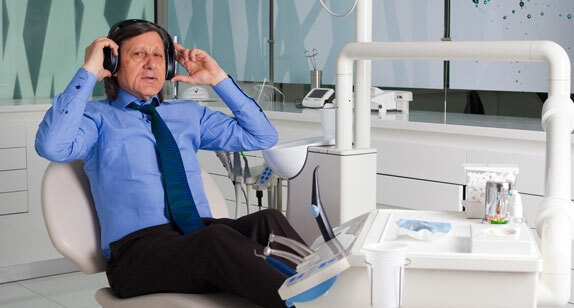 The Sirona C4 and C8 treatment units are designed in a way that allows all dental assistance instruments- the intra-oral camera, communicating system, the screen for the X-rays, to be incorporated. The chairs’ most important functions are controlled with the help of a coordinating unit-which can be foot operated, located at the base. This way the doctor can adjust for example, the lights intensity or work angle needed during treatment, without interrupting or risking possible discomfort for the patient. The dental chairs found in our clinic are designed to allow two doctors to work at the same time, as in the case of complex reparatory work. Oral hygiene plays an important role in dental treatment. This is the reason why we chose Sirona C4 and C8 dental chairs. The have incorporated a disinfection unit which allows separate cleaning of primary components used in dental treatment. The size of the hoses attached to the chairs instruments is designed to facilitate the treatment and at the same time not to permit contact with the floor. This way the smallest risk of infection is avoided. UA relaxed patient is the basic condition for a relaxed treatment. With the help of the ergonomic designed elements, the Siriona C4 and C8 from our clinic provide for the patients an ideal position during treatment. This way the spine is neither unnaturally compressed, nor stretched to the maximum. In addition, the patients’ head will remain in the same relaxed position during the whole visit to the dentist. Due to the DVD system offered by our clinic, the patient has the possibility, if he/she wants, to watch a film, a concert or favourite cartoon during treatment. The clinic also has a high tech wireless audio system which allows the patients who are under treatment to separate from the mills noise by listening to quality music. Our doctors use the dental intraoral camera to simplify, improve and relax communication with their patients. With the help of this camera and the screen incorporated in the chair they can show the patient representative images of different situations encountered during treatment. This way the patients’ involvement is possible and the decisions took at different stages are beneficial in understanding dental problems.